Encourage your creativity and you’ll increase your creativity. Of course, this is true of most things you want to see more of in your life. Encouragement can work wonders, but how do you encourage creativity? Start by paying attention to it. Our subconscious minds tends to give us more of what we pay attention to. Ignore the creative aspects of your life, and you are telling your subconscious that they are unimportant. Consciously note when you’re creative, and your subconscious mind will start feeding you more creative ideas. Just look for it and you’ll find more of it. You can encourage creativity by writing your ideas down. Start keeping an “idea journal.” Do this regularly, and you’ll notice that you often start having more ideas the moment you start to write. A so-so idea may normally be forgotten, but by writing it down, you may remember it. Then your subconscious can work on it, and may transform into something very creative. Changing your surroundings can encourage creativity. For more creativity in your love life, go hike up a mountain with your partner. If you write, try sitting on a roof to write. For new ideas for your business, take a notebook to the park and sit by the duck pond. Any change of enviroment can get your brain out of it’s ruts. 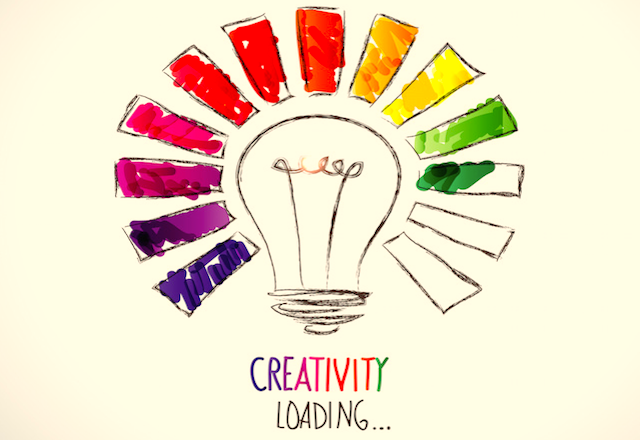 To dramatically increase your creativity, develop creative habits of mind. If you watch a good comedian, you’ll see that she has trained her mind to look for the “different angle” on everyday things. Why not train your mind to do the same? Start challenging assumptions, for example, until it becomes habit. If you’re looking for ways to get more customers, stop and say, “Do I really need more customers?” It’s a question that suggests other creative solutions, like finding ways to make more money off existing customers, or ways to cut expenses. It could lead to more profitable ideas. Challenge assumptions is a great way to have more creativity in your problem solving. These two techniques are called “Assumption Challenging” and “Random Presentation,” and are classic creative problem solving techniques. There are dozens more. If you train your brain to habitually use these or other techniques, and provide it with a little encouragement, you really can have more creativity. Next Post Anger and Hurt; another lonely place!